Baskin Robbins’ social buzz for new flavours with Happyness At A Happy Price! Baskin Robbins, an iconic ice cream brand in the country known for their wide range of flavours leveraged social media to offer Happyness At A Happy Price. Breaking the clutter with attention grabbing content that was intended to raise awareness around Baskin Robbins’ four new flavour introductions at an affordable price, also promoting the brand’s ‘stick’ ice cream product line which is not known to many. With social media already flooded, and oversaturated with pictures and videos of food and other culinary productions, the first challenge that Baskin Robbins had to overcome with Happyness At A Happy Price was to grab the attention of their target audience. Baskin Robbins capitalized on the aesthetic appeal of their product, and created a campaign video for Happyness At A Happy Price employing the pop art technique. The music used in the video was inspired by pop, rap and spoken word poetry to build on the flavour story and connect with the millennials. Chocolate & Vanilla or Mango Mania! 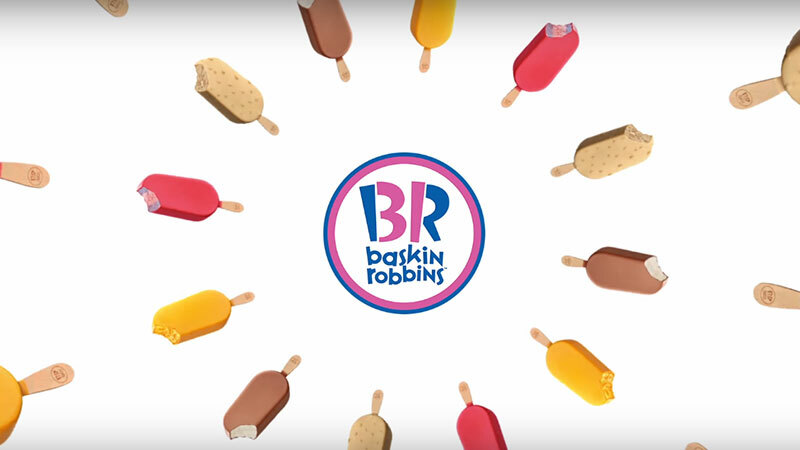 After the video was launched on social media, Baskin Robbins urged fans to share their own rhymes inspired by the campaign video and managed to create some interesting User Generated Content to maintain the momentum for Happyness At A Happy Price. Dulce de Leche or Cotton Candy? The brand mobilized Several food bloggers and social media influencers to share their rhymes. The campaign video for Happyness At A Happy Price received more than 5.5 million views across social media platforms with a Reach of more than 8 million, and 1.8 Million Impressions. Less than a week after the launch, #HappyPriceStick trended on Twitter over approximately 3 hours at #3. Over 3900 Tweets were recorded under the campaign hashtag, shared by more than 1200 unique users on Twitter. The hashtag itself got a reach of 4,212,098 and 20,464,983 impressions.